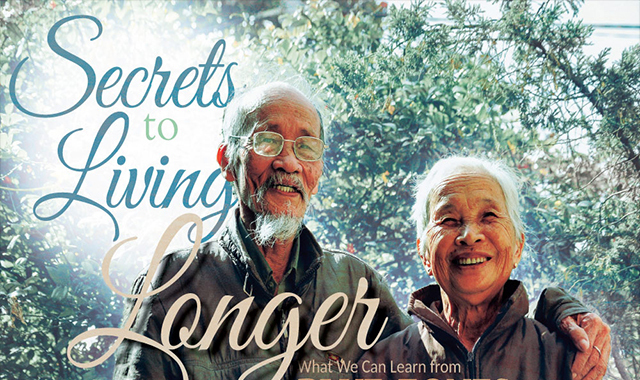 Secrets to Living Longer: What We Can Learn from Blue Zones #infographic ~ Visualistan '+g+"
By 2050, it is predicted that earth will be home to over 3.5 million centenarians, that is, people over the age of 100. At every point in time, human beings have been searching for the secret to longevity – the answer may lie in the planet’s Blue Zones. Blue Zones are understood as geographic areas of particular good health and longevity. These regions show lower rates of dementia and Alzheimers, lower risk of middle-age mortality, and higher concentrations of centenarians than anywhere else. But what is it really that makes these Blue Zones so special? Blue Zones Okinawa Japan, Ikaria Greece, Loma Linda California, and Nicoya Peninsula Costa Rica, may have very little in common with one another in terms of culture and citizens, but it’s these striking differences among Blue Zones that helps us understand the patterns of longevity. The power of Blue Zones can be seen in the lives of the people that live there; applying these qualities to our own lives is the tricky part. Here’s where to start, detailed in this infographic for more.